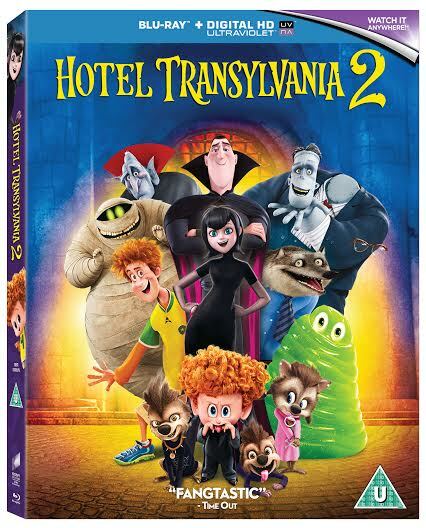 Hotel Transylvania 2 is out on Digital HD, Blu-ray 3D, Blu-ray & DVD now. It continues the story of Jonathan and Mavis and their son Dennis, who live in Hotel Transylvania with her father Dracula and a host of other horrific creatures, safe from the more tender human population. Humans are now also welcome to holiday at Hotel Transylvania, but secretly Dracula is worried that Dennis is going to turn out 100% human, 0% monster, bringing shame on the family and losing the respect of his father Vlad. While Mavis and Jonathan go to visit his parents, Dracula and some of the gang put Dennis through 'Monster-In-training' boot camp. Needless to say it doesn't all go to plan. Mavis finds the human lifestyle pretty tricky to understand, Great-Grandpa Vlad pays an unexpected visit, and boot camp proves far more difficult for everyone else than it is for Dennis. 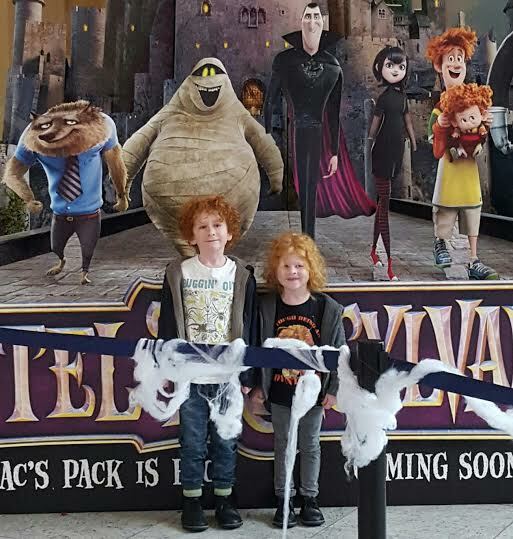 We really enjoyed Hotel Transylvania 2, it was a great movie to watch as a family and made us laugh a lot. The peril is very mild, and the 'monsters' are really never actually scary. 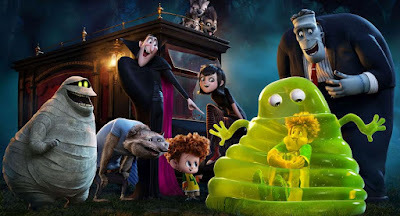 We have a full movie review of Hotel Transylvania 2, as I wrote about it at the time of cinema release. To celebrate the release of the movie on Blu-Ray, Blu-Ray 3D, DVD and Digital Download, Sony Pictures Home Entertainment have teamed up with Creation Station to run a nationwide 'Design-A-Monster' competition throughout half term. 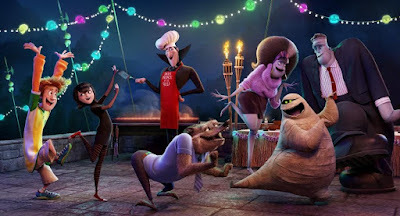 Entrants need to create a monster inspired by Hotel Transylvania 2, and then get their adults to post a photo to Twitter, Facebook, Pinterest or Instagram with the hashtag #MonsterMeHotelT2 along with the child's age. As a special bonus for Twitter users, anyone tagging @thebrickcastle into their entry on Twitter will also be entered into a random draw to win a copy of Hotel Transylvania 2 on Blu-Ray. The creation can be made from anything your child wants to use, from pencil and paper through to pompoms and cardboard boxes. 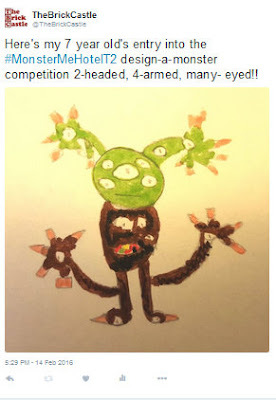 It's that easy, and anyone can design a monster - they can look however you want! Spot prizes will be awarded every day to entries via the hashtag and will be announced on the official HotelTransylvania2 Facebook page, and will include ‘The Art of Hotel Transylvania 2’books and DVD's. 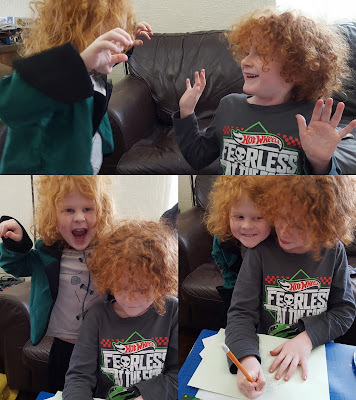 The main winner will be chosen by Sony Pictures Animation the week commencing 22nd February, have their creation professionally drawn by a designer from the film! They will also receive a ‘The Art of Hotel Transylvania 2’ book, signed by the Director Genndy Tartakovsky and a copy of the DVD. As well as the competition, Creation Station will be running Hotel Transylvania 2 themed creative classes across the UK during half-term -15th -21st February - where children from the age of 6 months to 11 years will be encouraged to create their own fun creative monsters through a range of art and crafts materials. Places are limited, so visit the Creation Station website or call 01395 239700 for details and locations. Visit http://www.thecreationstation.co.uk/competition-rules for competition terms and conditions. The additional Blu-Ray giveaway entry must be an original, valid entry to the Design-A-Monster Competition on Twitter with the hashtag #MonsterMeHotelT2 along with your childs age. and a tag @thebrickcastle to win. The Blu-Ray giveaway winner will be chosen from all valid entries by random number generator (random.org) within 72 hours of the competition end at midnight on 21st February, and informed via Twitter. UK entrants only. We're being sent our own copy of the Blu-Ray in return for posting.